Artea Brahaj is an Editor in Chief for ‘The Science Survey’ and a Groups Section Staff Reporter for ‘The Observatory.’ She has always loved writing as she finds that it fosters true expression of thought. More specifically, journalism allows her to delve into a topic, tell a story, and leave the reader with something new. Photography only adds to the story by including a personal element. Artea enjoys competing on the Congressional Debate team, acting in musicals and plays, and teaching lessons about the stock market. Aside from journalism, she is also the President of the Student Body for 2018-2019. 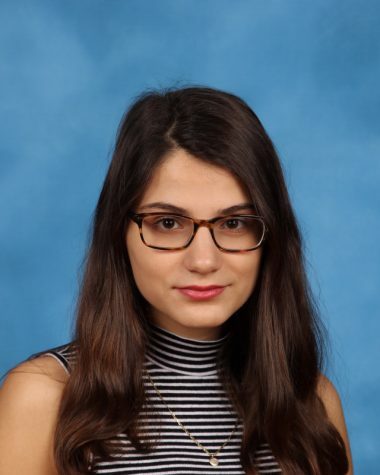 Artea often travels to her hometown in Albania where she visits her large extended family, goes hiking, swims in the Mediterranean Sea, and catches up on her reading. Her favorite book is J.D. Salinger’s ‘The Catcher in the Rye’ and Loretta Ellsworth’s ‘In a Heartbeat.’ She hopes to one day write a novel of her own so that she can inspire readers in the same way that many authors have inspired her.